The disruption of the gas station is looming. What will the future gas station look like? Cars like Tesla Model S, Model 3, Nissan Leaf and Chevy Bolt will turn the future gas station into a Wall Connector charging your car inside your garage. Most likely it will be two cars load sharing on a charger powered by 14 solar panels. While we will still have gas stations in 5 years the number of them closing the fuel pumps and turning into convenience stores, such as Walgreens is going to increase dramatically. 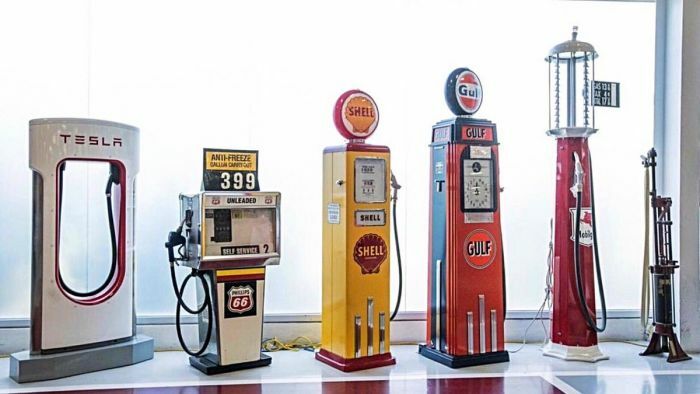 Fueling stations in the past could raise and lower prices seemingly at will, and unless consumers were making their own biodiesel (not recommended) at home they had no choice but to pay high gas prices.